Smoking tail pipe - usually from your tailpipe when you first start your vehicle or when you speed up suddenly. If you’re experiencing any of these issues, make an appointment with us as soon as possible. 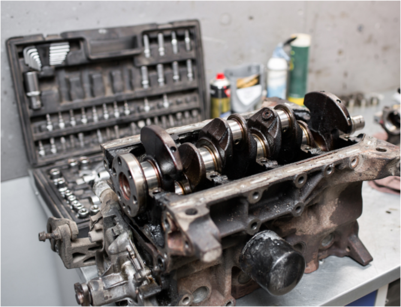 If an engine replacement is needed, the Magic Mechanic uses the leader in remanufactured engines. Jasper engines are built to meet or exceed original equipment manufacturer measured tolerances, and most applications are covered by a 3 year/100,000 mile nationwide, transferable parts and labor warranty. Their engines are completely remanufactured engines with all new wear parts, exacting tolerances and run-tested reliability. Engines repaired, engine rebuilt, engines installed and engine mounts.